The Scientific Cultural Collaborative is a unique cross-curricular educational partnership of arts, science and cultural organizations, which serves over 20,000 Denver area middle school kids per year. Under this partnership twenty-seven organizations work together to provide a grant for a program called the Alliance Project. The Arts Festival is active in the Alliance Project and teachers credit the Alliance Project with enriching their curriculum and boosting state art standards. This national model is based on a collaboration among Scientific and Cultural Facilities District (SCFD) Tier II arts, science and cultural organizations. This national model is a voluntary collaboration among 27 Scientific and Cultural Facilities District Tier II arts and science organizations. Click here to view the Directory of Educational Activities for Teachers and Schools, an annual publication listing education programs from the SCC cultural organizations. 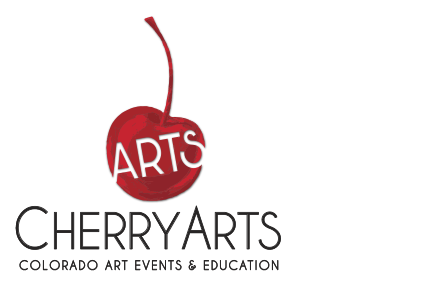 The Cherry Creek Arts Festival has been a leading exponent of creative innovative programming for the Alliance Project. A fundamental goal of the Alliance Project is to address the specific needs of seven middle schools, throughout the seven county Denver metro area, through careful planning with teachers and cohesive, sequential programming for standard curriculum and critical issues. Teams of teachers will complete planning in September before outreach programs such as performances, workshops, matinees, and field trips are implemented to address the curriculum. Professional matinees are a sample of the innovative programs such as learning chemistry through pottery, studying a culture by its stories and folkdances, hosting professional art exhibit in a school for two weeks, or field trips to learn about seedlings and the drought, professional matinees are only a sample of the innovative programs. Since 1997, over 209,200 students and 27,787 adults (including 471 teachers on two-year teams) have benefited from 2,037 programs (workshops, assemblies, field trips, extended projects) at 75 schools in the 7 county Science Cultural and Facilities District (SCFD) area. To assist in the promotion of arts and science education to school boards, corporations, and other entities as appropriate. Since 1989, the metro area has grown into a fascinating place, indeed. Not coincidentally, that’s the same year the SCFD (Science Cultural and Facilities District) began providing funds for over 300 of the region’s most culturally diverse organizations. And clearly, we’ve all benefited from that. With appreciation to the citizens of the scientific and cultural facilities district. For more information about the SCFD (Science Cultural and Facilities District), visit our website at http://www.scfd.org.